The 11th Annual Animal Magnetism event is a pet-friendly celebration for PAWS Chicago supporters and their furry friends. Hosted at Morgan Manufacturing in Chicago’s West Loop neighborhood, the event welcomes more than 600 of Chicago’s urban professionals and pet lovers for a night of cocktails, food and drinks, dancing, pet entertainment and a fabulous silent auction. This year’s event will be emceed by FOX 32’s Good Day Chicago Reporters Jake Hamilton and Jenny Milkowski! What is the timeline of events for the night? Guests will enjoy complimentary open bar, as well as beverage tasting stations, with alcoholic and non-alcoholic beverages throughout the evening. Food will also be provided at the start of the event – food stations for General Admission and dinner buffet for VIP & Sponsors; as well as desserts towards the end of the evening. Everyone can also enjoy our open-air photo booth, get an illustration drawn with you and your pet, get a temporary tattoo for you and your pet, enter our raffle, bid on some great silent auction items and dance the night away! Goody bags will also be given out at the end of the evening that will include treats for you and your pet. For General Admission tickets, seating is on a first come first serve basis, at any table that is not reserved for a sponsor. Do I need anything with me to show I’ve purchased a ticket? The short answer is NO. Once you purchased a ticket through our website, over the phone or through the mail, your name has been added to our registration list. You do not need to bring any proof of purchase with you to the event. Simply check in at the registration tables when you arrive. What portion of the event ticket is tax-deductible? The fair-market value of each ticket is $45/per human ticket. The remainder of the ticket is tax-deductible. However, raffle tickets are not tax-deductible. Are children and/or pets allowed at this event? Although children are allowed at Animal Magnetism, there will be an open bar serving alcoholic drinks with a majority of our guests being over the age of 21 years old. We encourage everyone to use their own discretion when it comes to bringing children to the event. When it comes to pets, we would love for you to bring along your dog to the event. Dogs do require tickets to the event though – General Admission ticket holders can purchase dog tickets online for $25 per dog (VIP tickets include 1 dog). We do ask that dogs that attend the event are well behaved around other dogs, crowds, and music. Yes! There are opportunities for individuals and corporations to be sponsors at this year’s event. For more information, contact Lauren Sergi at 773.843.4887 or lsergi@pawschicago.org. Can I buy a ticket at the door on March 24, 2017? Tickets are limited at this event due to space. There is a chance the event may sell out before the event date. We encourage you to purchase your ticket(s) as soon as possible to ensure you can attend the event. Tickets can be purchased online or by calling 773-843-4887. Please check back at a later time to see if tickets will be available at the door. If tickets are available at the door, the general admission price is $175. The typical attire for this event is cocktail attire. You’re also welcome to bring your dog dressed for the event! Do you offer valet for this event? Valet parking is available for Animal Magnetism guests at Morgan Manufacturing for $20/each car. I’m unable to attend, is there another way I can contribute? Enter our raffle! You do not need to be present to win one of our great raffle prizes. For more information and to purchase your tickets, please check out our raffle website. In the silent auction! Supporters not attending Animal Magnetism may bid on silent auction items from their smartphone or computer starting two days prior to the event on March 22nd until the auction closes at 10:00 p.m. on March 24th. Make a monetary donation to the event here. Every dollar counts towards saving more lives! We are sorry for your trouble. Please email the Signature Events Team at AnimalMagnetism@pawschicago.org and we will work with you to resolve the matter. 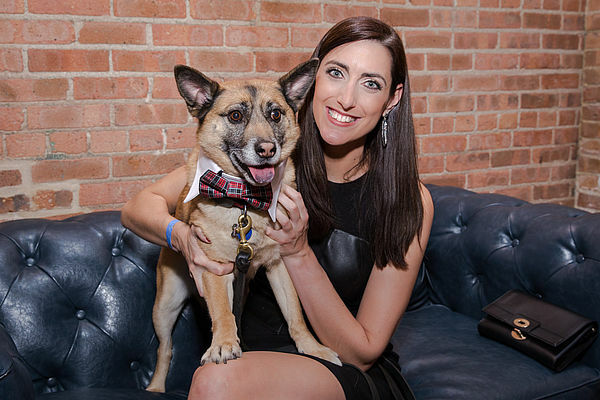 For more information on how you can get involved or to make a donation, contact the Signature Events Team at AnimalMagnetism@pawschicago.org.